Angry Birds studio Rovio Mobile says it hasn't done business with Chillingo, the mobile publisher that was acquired by EA yesterday, since the original iPhone release of the game and furthermore, it "will not use Chillingo again." When EA revealed yesterday that it dropped $20 million to purchase the U.K.-based mobile game publisher Chillingo, the initial expectation was that the deal would somehow involve Angry Birds and Cut the Rope, the top two paid apps in Apple's App Store, which were both published by Chillingo. But neither Rovio Mobile nor Zeptolab, the studios behind the games, were part of the acquisition and Rovio appears to have no interest in reviving the relationship. "We only did the first iPad/iPhone integration with Chillingo and aside from that we've published everything ourselves," Peter Vesterbacka, the "Mighty Eagle" at Rovio who runs the company's U.S. office, told TechCrunch. "We will not use Chillingo again." Not that he has anything against Chillingo or its new parent, EA; he just thinks that self-publishing is the way to go these days. "You don't need publishers," he added. Angry Birds came out on the App Store in December 2009 and has banged out 6.5 million copies since, a huge success story by any measure. 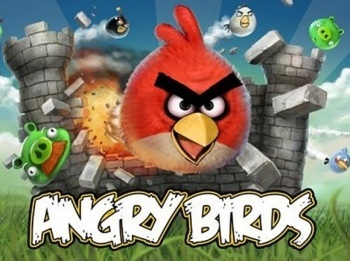 Rovio retained the rights to the IP on all other platforms, so what did EA get for its $20 mil? Chillingo's Crystal social networking platform, "soft access" to new mobile titles and publisher with an apparent knack for spotting hit games, which the company is no doubt hoping will one day prove to be worth more than even a bird in the hand.